Hydrogen fuel cells are clearly a great idea, but the fact that much of the gas that goes into them still comes from fossil fuels is a bit of a problem. That’s why researchers are looking at alternative sources of hydrogen from substances as diverse as dough and sewage, according to the Nikkei [Subscription link]. The sewage idea comes from Kajima, a company that has diverse interests ranging from real estate to disaster management. Its work with Tokyo University suggests microbes can create hydrogen from human waste and other sources, such as run-off water from rice fields. A prototype fuel cell has so far generated 130W from each cubic meter of waste, which leads the company to suggest we might see something commercial by 2020. 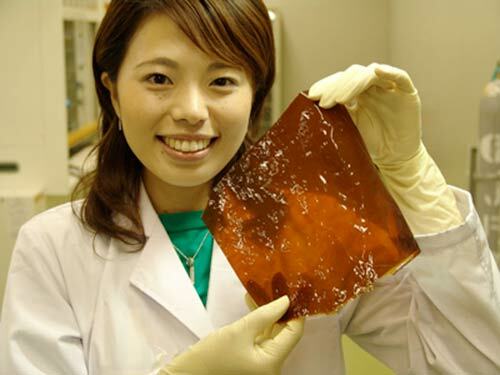 Much nearer, however, is the plan by Sapporo Breweries to have microbes decompose waste dough at bakery factories in order to generate the hydrogen needed. The beer giant says it should be ready to begin sells of such fuel cells to all manner of food-processing plants some time next year. Domestic cells that use household waste could follow. If 25,000 liters of hydrogen from just 125kg of waste food sounds like a good deal to enough companies and individuals, this could be the start of something really big for fuel cells.